Global 6Sigma offers Lean Six Sigma Training and Certification courses in: White Belt, Yellow Belt, Green Belt, Black Belt and Master Black Belt. 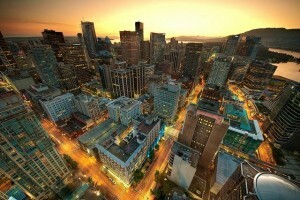 6Sigma.com also offers Certification and Training courses in Frankfurt, Germany: Lean Six Sigma, Design for Six Sigma, Green Process Management and Minitab. Six Sigma Certification is a globally acknowledged doctrine used to enhance the business processes and implement these enhancements at optimum value levels to completely eradicate all errors. It is not just a training course that takes up an entire line in your resume; in fact, it is a complete set of tools and skills that can enable a candidate to work much more effectively within the workplace. A Lean Six Sigma Training not only benefits the individual, it has a number of advantages for the organizations as well. This is exactly why a number of companies tend to prefer candidates that have acquired a Six Sigma Certificate so that they can form a relationship that is mutually beneficial. The unemployment rate of Germany has witnessed its record lows last year, suggesting the comeback of Europe’s largest economic ecosystem. The jobless ratio in Ireland and Spain is higher still, and many experts predict a staggering fall after a staggering victory in the economic market. But it would be wrong to deny the opportunities that cities like Frankfurt currently have to offer to individuals from all over the world that are looking to get hired by competitive companies and organizations. How a Lean Six Sigma Training Can Help You? The Lean Six Sigma training program provides individuals with tools and skills that will help them entirely modify their work ethics and effectively implement the best practices while performing organizational tasks. A Lean Six Sigma certificate holder is not only highly capable of working more effectively than others as an important part of a team, but can also be a great consultant and a motivational leader. Depending on the level of proficiency they possess, they can walk a project through its initial stages swiftly and see it through to the final stage. The Lean Six Sigma training program implements a strategy or ideology that can be called DMAIC. This abbreviation stands for Define, Measure, Analyze, Improve and Control, which are the main steps that can help you carry any task from inception to completion. Using this ideology at first enables you to clearly define all your issues and set anticipated targets for yourself to achieve. The next step is to comprehensively measure what your current status is and determine the actions that are required to reach your pre-set targets. The analysis of the data and improvements of the current implemented practices are also very important steps of the method followed by Control, which is very helpful in ensuring and accelerating growth stability. 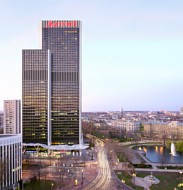 The Frankfurt Marriott Hotel is an upscale business hotel in Frankfurt, located directly across the street from the fair and the convention center, home of many world-class trade fairs and exhibitions as well as conferences. All rooms feature an elegant contemporary design. Full size safes, Wi-Fi connectivity, 42 inch Full HD LCD TVs, 24-hour on-site fitness center, 25 modern conference rooms, a 24-hour business center and Frankfurt's largest ballroom with 774 sqm of meeting space and a 94 sqm floor-to-ceiling window front make this a prime meeting and conference venue in the Frankfurt City and the entire Frankfurt area. The hotel's three restaurant outlets offer a variety of options. Frankfurt Hauptbahnhof central train station is only minutes away and can be reached easily by tram stopping directly in front of the hotel. Frankfurt International Airport can also be reached by public transportation hassle free.